It’s cherry season, and I’m ready to make some nature-based art! I mean, who doesn't love DIY paint (especially when it has glitter in it)? I’ve been super obsessed with science and art activities lately. This one is no exception. Instead of just smooshing a bowl of cherries to get that pretty red juice out for our little artists to paint with, turn the entire process into a science exploration. Taste: Take the pits out and let him try the cherries. Smell: Take a sniff to see if they smell as sweet as they taste. Sight: Look at the cherries. Sure, he knows that they are round and red, but what’s inside? Help your child to investigate all of the parts of the fruit with his eyes. Feel: Let your child squish and mush them between his fingers (he’ll start creating the paint for the project). Sound: Even though cherries don’t make an actual sound, he can listen for the drips and drops that come out of them as he squishes the fruit. Now he’s ready to start the art-making. 1. Take the squished cherries from the sensory exploration and let your child finger paint with them on plain white paper. 2. Add a capful of vegetable oil to the rest of the cherry mush. 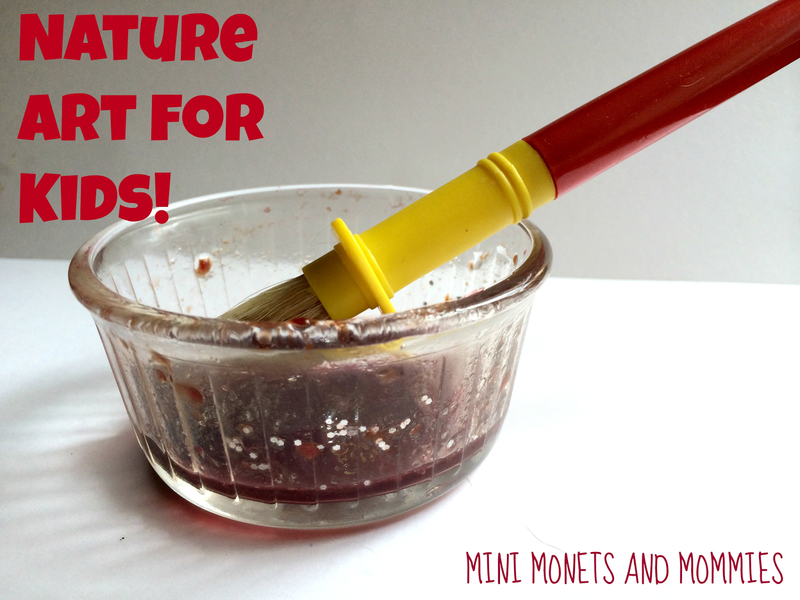 Have your child stir it with the paintbrush. 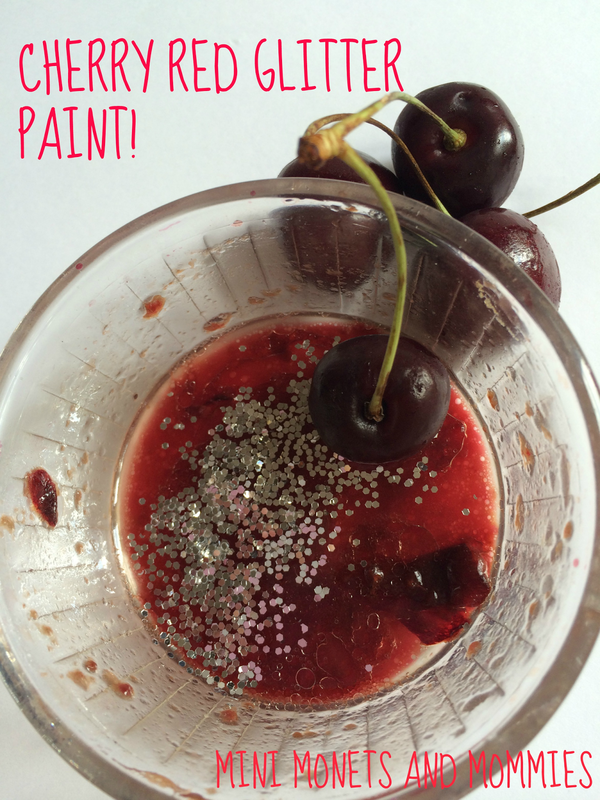 The oil will make the cherry paint easier to spread and help to hold in some of the glitter that you’re about to add. 3. Pour in sparkling glitter. Use as much or as little as your child wants. Stir it together. 4. Paint! 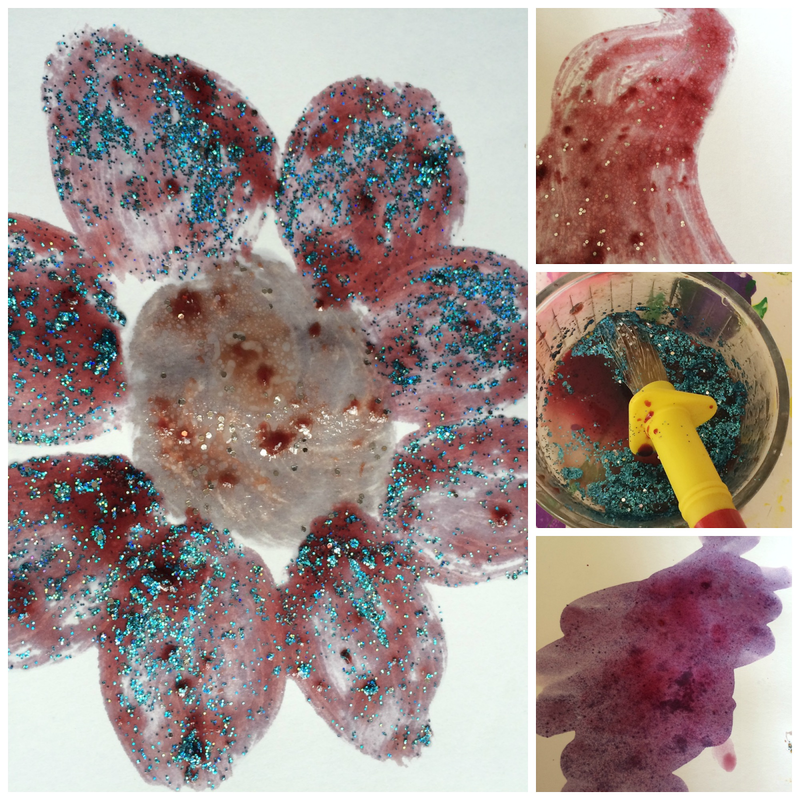 Your child is ready to spread his natural glitter creation all over a piece of paper. He can make abstract art, shapes, swirls or a picture of whatever he pleases. Thanks! Sure. I'll go visit the linky now! So gorgeous! And tasty :) Thanks for sharing at the Love to Learn Linky. I love how all the senses are involved in this sparkly nature art! What a neat idea!! 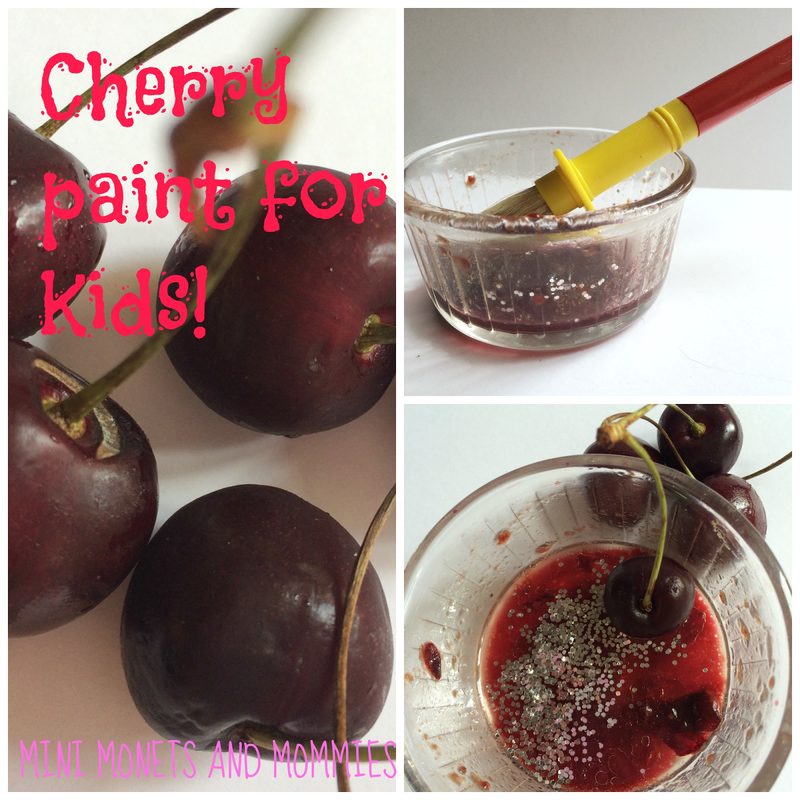 We will have to try this with our cherry exploration! Thank you for sharing at Sharing Saturday!